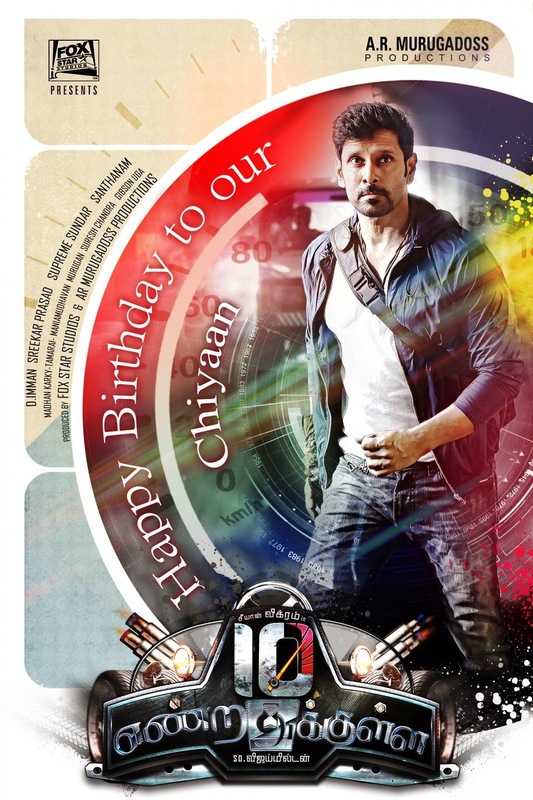 The First look of 10 Endrathukulla, written, directed and shot by Vijay Milton and presented by A.R Murugadoss, was out at midight on April 17 : it was the perfect birthday present for Vikram, the hero of the film. 10 Endrathukulla is a fast paced road movie along the lines of Jason Statham's Transporter, and has Samantha as the heroine, playing a dual role. 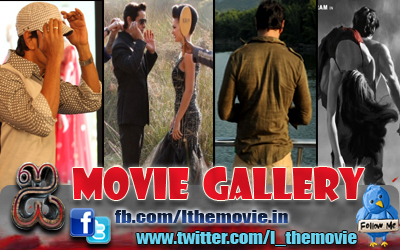 Others in the cast include, Jackie Shroff, Pasupathy and Charmee in a special appearance. The film has been extensively shot across the country and Nepal and the stunts, choreographed by Supreme Sundar, are said to be one of the major highlights of the film.